Did you know that cancer clinical trials are helping to improve the treatments available for leukemia, myeloma, lymphoma, myeloproliferative neoplasms, myelodysplastic syndromes, and other blood cancers. Over the years, this research has increased the rate of survival, and the overall quality of life for patients has gotten better. Primarily, these leukemia clinical trials look to test innovative therapies and/or new combinations of older therapies. If it were not for the advances made in the field of oncology, we would still be struggling to effectively treat children who developed acute lymphoblastic leukemia, the most common type of childhood leukemia. During the 60’s, the survival rate for this disease was not even 15 percent. Now, thanks to treatments that were successfully developed in clinical trials, more than 90 percent of the young children who develop this disease survive. 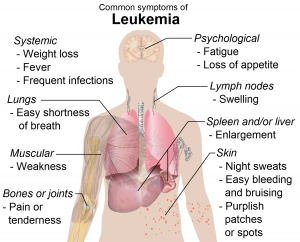 Leukemia is a cancer that affects the white blood cells (the cells responsible for fighting off infections in the body). These blood cells are produced in the bone marrow, but if you develop leukemia, then the bone marrow will form abnormal white blood cells. The defective cells gradually begin to outnumber of the healthy blood cells, prohibiting the blood from performing the functions that it needs to. This cancer may develop rapidly (acute leukemia) or gradually (chronic leukemia). Adults could be diagnosed with either type of leukemia, but children are more prone to developing acute leukemia. Most cases of leukemia can be treated and controlled, and some can eventually be cured. For the treatment of leukemia, a multidisciplinary team of specialists will work together to form a treatment plan tailored to their patient. The recommended treatments will depend a variety of factors, including the stage at which leukemia was diagnosed, the patient’s overall condition, and their personal preferences. This cancer is mostly treated with chemotherapy, radiation therapy, and stem cell transplantation. Patients may need to continue their treatment after the symptoms have disappeared in order to prevent a relapse.